• Other employment related legal matters throughout New Jersey. With decades of legal experience the Resnick Law Group, P.C. and their focused lawyers work to understand their clients, the law and the process of protecting their clients with their unique issues. Here to serve you is Attorney Gerald Jay Resnick, a Certified Civil Trial Attorney by the Supreme Court of New Jersey, and Attorney Vincent A. Antoniello whom uses his previous work representing businesses and management in employment law litigation and counseling matters as leverage for his current employee employment law clients. 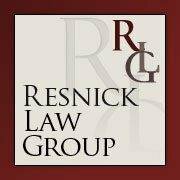 The attorneys of Resnick Law Group, P.C. use their broad experience and knowledge to assist their clients in matters of employment law throughout New Jersey. The best possible results will be fought for from the firm’s Roseland office. To schedule a consultation with the top New Jersey employment law attorneys, contact the firm today.